Reliable Steam & Dry Carpet Cleaning Company NW North West London | RDA Cleaning & Maintenance Ltd. Looking for an affordable professional carpet cleaning company in North West London NW? RDA Cleaning & Maintenance Ltd. now offers you high quality cleaning that can guarantee great results - full stain removal and disinfection. Our top-class carpet cleaning service is available also during weekends and bank holidays at no extra cost. Enjoy your home or office carpet clean & fresh today with a phone call to 020 3404 1646. Our customer support team will help you set up an appointment at a convenient time. We do key pick-ups and safe drop offs. Hire the best carpet cleaners North West London NW today! Our professional carpet cleaners in North West London NW can work with a wide range of carpet fibers and materials, both natural and synthetic and even blends. We can safely clean: wool, sisal, cotton, silk, Kashmir, Persian, Indian and any synthetic type out there. 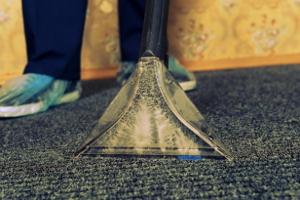 To ensure your safety and the best results possible, we keep a high standard of home & business carpet cleaning North West London NW and a good work ethic for all of our cleaners. It is mandatory that they pass 3 months training by Prochem on steam & dry carpet cleaning methods, machine and detergent use. During their first 6 months with us they are accompanied with a senior cleaner who would show them all it needs to become a cleaning expert. Once the job is carried out, they would give you free maintenance advice. Hire Us For An Expert Carpet Cleaning In North West London NW Now ! Reserve our efficient carpet cleaning service in North West London NW and have your carpet fully cleaned today. Call 020 3404 1646 or get a free online quote. No deposit required. Also, if you book another service simultaneously you can get a discount of up to 20%!